No one wants to feel like they’ve been “conquered.” If your approach to marketing your dental practice feels a bit…well…overly aggressive it’s time for a change. Patient acquisition, targeted marketing, funnel here…funnel there…marketing funnels everywhere! Well intentioned and useful strategies perhaps but they can create a mindset that’s not necessarily beneficial. Less beneficial if you make one common mistake during implementation. Let me describe a company and see if you can guess its name. I will quickly narrow your choices by revealing that this company is what the industry calls a QSR (Quick Service Restaurants, aka a fast food place). This company has thousands of locations the world over. Customers walk up to the counter to order, they experience speedy service and either take their order to go or sit down in the restaurant. What company name comes to mind? I suspect you are thinking of McDonald’s, Burger King or some other burger place, or maybe even Subway or Chipotle. Chances are you did not think of Starbucks, even though the description above totally fits. Why is that? Because Starbucks doesn’t want you to think of them that way! They don’t view themselves as a QSR. Dunkin’ Donuts, Krispy Kreme and Tim Hortons think of themselves as a QSR, but Starbucks doesn’t. Why? Because they don’t sell donuts. More on that later. Imagine I started a business serving people who hate to do grocery shopping, so I hire people to do the shopping and to deliver it to your home. Assuming you were interested in that service, you will probably pay me a meager amount over and above the cost of the groceries and my cost in employing people to do the work. In other words, my gross margin on that business would be paltry. Said differently, even though I might amass large revenues, passing the cost of the groceries through the revenue line, the quality of my revenue would be poor. If, in addition, my staff were to unpack the grocery bags and stock your pantry and refrigerator, you would receive more value. Further, if I were to install detectors in your pantry and refrigerator that automatically determined your supply needs, and if I gave you an app on your smartphone with your needs all filled in for you to edit, you would appreciate that value even more. With each of these additional features, I improve my quality of revenue. The quality of your revenue – best measured by the gross margin you command – is a measure of your customers’ perception of the value you provide compared to their alternatives. How good is the quality of your revenue? How can you improve the quality? Value is created by the use of capital and the use of labor. For example, a manufacturing company uses capital to procure raw materials and uses labor to turn the raw materials into a finished product that somebody finds valuable. A warehousing company might use capital to procure a warehouse and forklifts and use labor to store and retrieve warehoused products. An accounting firm uses very little capital but has considerable use for talented labor to provide their services. During the industrial revolution, when source of capital was considerably restricted, value was created using both capital and labor. But, today, when reasonable amounts of capital is much more readily available, there is a commoditized minimal premium for value created through the use of capital. So, to create quality revenue you must create significant value through talented labor. What the customer is willing to pay for your goods and services is a function of both the real and perceived value of your offering in comparison to the alternatives they have. For example, McDonald’s cost in providing a hamburger to a customer – including all the cost of the store, furnishings, labor, etc. – is about $1.50. Interestingly, that is about the same as the cost incurred by Starbucks in providing a customer with one of their craft coffees. Yet, McDonald’s seems to need to sell its hamburger for $2.50 while Starbucks charges almost $4.00 for its coffee. Starbucks enjoys a much higher quality of revenue than McDonald’s does. Why is that? Because, Starbucks doesn’t sell donuts. And, if they ever do, they won’t be your ordinary glazed donut for 99 cents, intended to be bought by the dozen. Rather, they’d be craft donuts, to be devoured and savored, and sold for at least two dollars and change. Starbucks doesn’t sell coffee; they offer you a coffee experience. If that experience requires that they offer pastries, they will do so. But it is the experience that is important. McDonald’s sells you food. Starbucks offers you an experience. That brand positioning allows them to create higher quality revenue. Having grown up in the high tech world, I have always been amazed how Dell, Cisco and Intel are all $50-60 billion dollar high tech companies, but with distinctly different quality of revenues. Dell, for the most part, neither designs nor manufactures their computers — they market and sell them. For that service, they enjoy 20% gross margin. In contrast, Cisco hires talented engineers who design advanced servers and routers, but farms out the manufacturing to Asia. They, too, market and sell their products. But, for that extra work of their talented engineers they enjoy 60% gross margin. Intel does it all – they design, manufacture, market and sell their products. It invests billions of dollars in manufacturing plants and employs people to run them in two and three shifts. For all that work, it enjoys 65% gross margin. Which of these companies enjoy high quality revenue? Clearly, both Cisco and Intel do. But Cisco seems to have figured out what creates quality in their revenue. Quality of revenue is achieved by providing value that is unique, maintaining a perception of that value through a brand proposition that includes pricing. If you sell your products cheap, you might increase volume, but you will harm the quality of your revenue. It is a tradeoff. The same is true if you discount your products. I ran a number of electronic instrumentation businesses. These high tech instruments often sold for tens of thousands of dollars. Additionally, we would sell software that would analyze the data gathered by the instruments. The software packages would often sell for equal or higher value than the hardware, and customers would often ask for a discount. I had a simple policy: I would never discount the software; and if I felt obliged to discount the hardware, I would give some of the hardware away for free. Why is that? Nobody asks for another piece of hardware for free the next time because they know there is a real cost to manufacturing the hardware. However, they will be tempted to ask for more copies of software for free. Quality of revenue is achieved by brand positioning (what customers think of you), product positioning (what customers think of your product) and price positioning (what customers think of your value). You must actively and intentionally manage all three. There is nothing wrong with a business like McDonald’s or Dell. If that is the nature of your business, you must be operationally excellent. 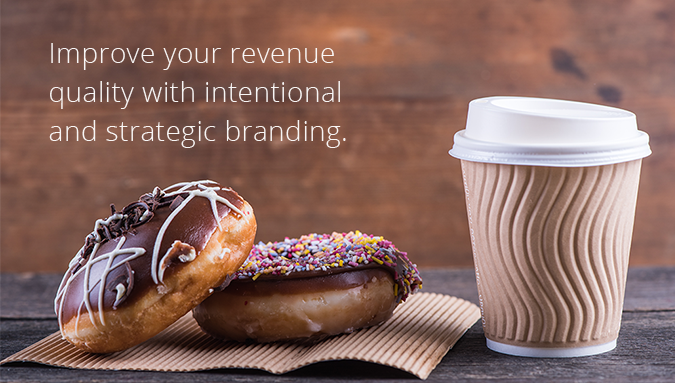 However, if your business is like Starbucks or Cisco, and you want to maintain the quality of your revenues, make sure that you don’t get tempted to start selling donuts. 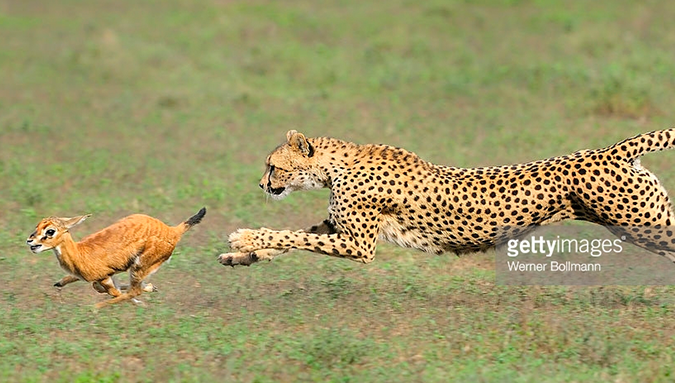 Now I am not much of a hunter however the saying “Eat what you kill” is a great business strategy to follow to ensure your financial success in dentistry and any other kind of business. “Eat what you kill” translates to running your practice on a cash flow basis as an astute business owner and entrepreneur. This approach also works extremely well with your personal finances, and ultimately can be the key to avoiding the pit falls of personal and professional bankruptcy. And is so easy to manage. You do not need an accounting degree to follow this strategy. Anyone with the desire manage their business or personal finances extremely well can do this. This month’s article is an attempt to change the conversation with a non-performing employee from one of blame to one of collective responsibility. We are happy to point out that, in keeping with the provocative nature of these articles, there is probably plenty here with which you might take issue. We welcome your critical review. We start with our definition of Stewardship, as offered by our friend Glenn Mangurian: the responsibility to protect, preserve and enhance assets that do not belong to you but have been temporarily entrusted to you. As an employer and a manager, you have been entrusted with the human capital asset of your employees. You have a responsibility to protect, preserve and enhance that asset. You must leave behind a richer set of assets at the end of the year than what you inherited at the beginning of the year. We discussed this in recent articles on performance reviews (Employee Performance is not just about Results and Put an End to the Annual Performance Review). In this article, we discuss the implications of this stewardship responsibility. When you hire an employee, you are making a commitment that you will grow this employee to be a richer person each year – not just financially richer, but richer in their craft, in their profession and as a human being. You, as an employer, are accepting this obligation, knowing everything you know about this employee you just hired. So, in a job interview with this potential employee, not only should you ask if the individual can perform the duties of that job, you must also ask if you have the skills to enrich the individual, if your company has the capacity to enrich the individual, and if the individual has the potential and willingness to be enriched. It takes the combined efforts of the employee, the manager and the company for the individual to be enriched. In other words, it takes three to tango. Does every employee have to grow each year? What is wrong with Joe, the welder in the machine shop who just wants to be a welder? Joe is a darn good welder. That is what he wants to be, he doesn’t want to do anything else, and I want to keep him. Joe is happy. He gets a good paycheck. He has a good life. Joe has been with me for a decade and I want to keep him for a couple more until he retires. What is the problem with that approach? Why shouldn’t I just let Joe be? Well, there are actually two problems: The first is an economics issue and the second is a philosophical issue. Your company is expected to grow and improve each year. Not only is your revenue expected to grow, but you are expected to generate at least as much profit per dollar of revenue in spite of your expenses growing with inflation. How do you do that? By doing what you used to do even better and more of it. This economic reality requires each individual in your company to do more and do it better each year. So, you can’t just let Joe be. Joe has to become a better welder each year, weld more per unit of time, weld it for a lower cost, etc. But, wait a minute. Is it possible to do that forever? Don’t you reach a point where Joe is performing at maximum capacity and it cannot be done any better? When you and your employees peak, your company peaks as well. The second problem is philosophical. An attitude of “let Joe be” instills a level of complacency that will permeate the entire organization. If you let Joe be content with doing what he did last year, you have to let the entire company be content with what they did last year. Will that be acceptable to you? Your organization’s excellent performance this year must become the benchmark of mediocrity for tomorrow. So, as a company philosophy you must require each employee to grow each year. Now for a bit of reconciliation. Growing each year does not mean that Joe has to become a supervisor. Each employee has to constantly grow in his or her craft and profession. Even better, each employee should constantly expand their skills, knowledge and interest into related disciplines – neighboring disciplines to their craft and profession, neighboring disciplines of interest to the employee, and neighboring disciplines of relevance to the company. This growth responsibility falls on all three parties: the employee, the manager and the company. Although, in this day and age, no company guarantees lifetime employment, collectively, the three parties should guarantee lifetime employability. How well do most companies fare on this score? Most companies will philosophically accept this position at the point of hiring an employee, but they quickly back pedal within a few years. Let’s point out four typical scenarios that companies and employees face. First, a non-controversial and positive scenario is the performing employee with a growth trajectory. This is the case of an individual that performs exceedingly well. The individual grows in their job, takes on new and expanding assignments, assumes greater responsibilities and is generally successful. The employee, the manager and the company all discharge their stewardship responsibility. Well, that was the easy scenario where the dance and the music make for a beautiful tango. The second scenario, still positive but uncomfortably so, is the performing employee for whom the company cannot offer the needed growth opportunity. This employee performs very well. He or she grows in their job. The individual is critical to the company. The boss depends on this individual. After a few years, the employee needs new assignments or additional responsibilities in order to grow. But, in your small company, there are limited growth opportunities. You just don’t have that next position for this employee. They are ready for it, but you are not. What should you do? What is your stewardship responsibility? The company has a responsibility to act selflessly and work with such individuals to position them for their next career growth opportunity, which will likely happen elsewhere (see Small Companies Must Turnover Good People). The employee, the manager and the company are usually hesitant to face this situation. And, in that hesitancy, all three fail to be a steward. In this tango, the music stops but the dancing continues without the gusto. The third scenario represents the performing employee whose personal growth does not keep up with the market and environmental growth. This is where many companies get stuck with a “used-to-be-performing” employee who hasn’t kept up with the fact that you don’t use a calculator anymore but have to make an Excel spreadsheet. As in the case of Joe, the welder, this is an employee whose consistent excellent performance many years ago has slowly but surely become below mediocre by today’s standards. Who is at fault? All three: the employee, the manager and the company have been complicit in allowing the employee not to grow. In this tango the manager and the company have moved on to the new song but the employee is still dancing to the old song. Finally, the fourth scenario involves a non-performing employee. The company and the manager often ignore the non-performance as an act of kindness when, in fact, it is gross negligence of their stewardship responsibility. When you hired that individual, you accepted a stewardship obligation to grow that individual. You have two options: either to discharge that stewardship responsibility or absolve yourself of that obligation. You do not have the choice to ignore it. If you approach the conversation with the attitude, “I (the manager) am unable to find ways, and create an environment in which, you can grow as an individual,” then the conversation becomes less about blame or judgment and more about stewardship. Both the music and the dancing stops in this tango. You, as a manager, have an obligation called stewardship and a privilege called management authority. The former requires you to care for your assets. The latter allows you to acquire and dispose of your assets. The more diligently you discharge your stewardship responsibility, the more impenitently you can exercise your management authority. 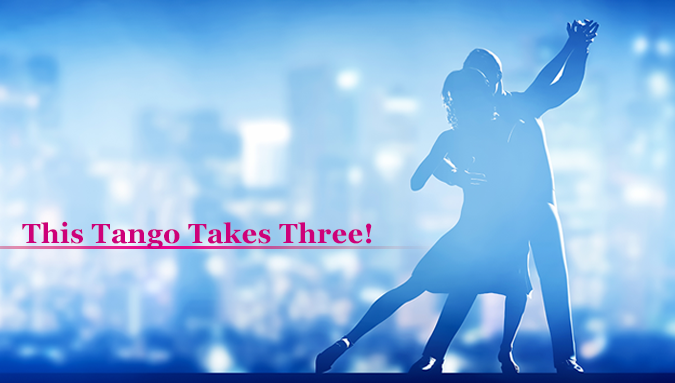 But, remember, this tango takes three. You learn how to fill cavities and keep teeth clean and healthy in dentistry school. What you don’t learn is how to raise capital and manage business debt. “That can make life after dentistry school challenging,” says Genaro Romo, who started his career in Chicago in the 1990s. He quickly realized that being a successful dentist meant being a successful small-business owner. After graduating from school, dentists essentially have three options. One is to join a practice as an associate and “work your way up,” Romo says. That’s what he did, and it was a successful strategy. He eventually struck out on his own, setting up his own practice; today, he has a 20-person office in Chicago. Build your practice from scratch. This can be exciting, but it’s expensive. A dentist launching a startup practice typically requests a loan in the range of $350,000 to $500,000, says Gavin Shea, a senior director of sales and marketing at Wells Fargo, where he’s worked with hundreds of dentists. Between 50% and 60% of the funds goes toward building out an office, which usually involves big investments related to specialized plumbing and electrical needs, he tells NerdWallet.The basic dentistry workspace is called an operatory. A fully equipped setup, which includes cabinetry, dental chair, lighting and digital X-ray equipment, can cost “anywhere from $25,000 to $50,000 for each operatory,” Shea says. While Wells Fargo declined to disclose interest rates related to dentistry practice financing, the financing it offers includes SBA-guaranteed loans, which typically carry low interest rates. An SBA loan is usually based on the current prime rate plus an additional markup rate, known as the spread, of 2.25% to 2.75%. At the current prime rate of 3.25%, a typical loan would charge 5.5% to 6% interest. 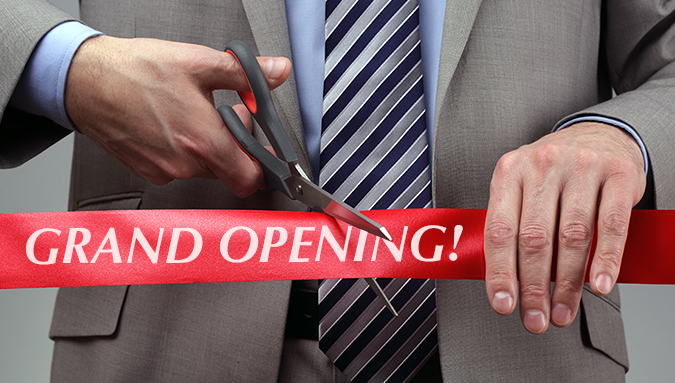 Bear in mind that the SBA has strict requirements and the application process can take months. But a traditional bank is not your only option; alternative lenders tout the speed of their application and approval processes, which may range from a few hours to a few days. Some alternative lenders now also offer financing specifically for new dentists. However, interest rates are higher than those offered by banks. Check out the different small-business loans options on the NerdWallet Best Business Loans page. At DealStruck, for example, a borrower could get a three- to four-year term loan to finance dental equipment at interest rates ranging from 12% to 18%, says Steve Freshour, the lender’s director of credit. When making financial plans for a dental practice, “Everybody’s situation is different,” Romo says. But, he stresses, “You have to remember you’re investing in your practice. Some professionals specialize in giving dentists financing advice for starting or expanding a practice. “There are CPAs who specialize in dental offices,” Romo says. “There are dentists who also have accounting degrees” or other kinds of training that qualify them to offer guidance. Romo urges new dentists to reach out to other dentists from the beginning. He did so by joining the Illinois Dental Society and the American Dental Association, and was so impressed with the ADA’s work that he became one of the organization’s spokespeople. The ADA’s Center for Professional Success website offers information and tips for dentists, including a calculator for managing business debt. The California Dental Association has a practice support page with information and tips related to the business side of a dental practice. Some dental associations also have relationships with banks. The ADA, for example, works with Wells Fargo, which has a practice finance page dedicated to serving the financing needs of dentists, optometrists, doctors and veterinarians. It offers information on key aspects of starting and growing a dental practice, including opening a new location and buying new equipment. Join 48,000 other dental professionals. Fund Doctors without Borders with Net32: Help us reach our $100,000 goal!